There are very few issues impacting the world’s population that are still as culturally stigmatized and misunderstood across all societies as mental health and well-being. With this in mind, we are continuously evaluating and on the look-out for future leaders and pioneers in the mental health space, and are thrilled to announce our investment in Biobeats, an Oxford-based artificial intelligence company that is focused on delivering preventative mental health. The GBP 2.45m round was led by Oxford Sciences Innovation, and included existing Biobeats investors, as well as Patrick Pichette, the former CFO of Google who now leads the European activities of iNovia. The impact of mental health disorders is felt globally, with 1 in 5 people suffering from conditions such as anxiety, depression, schizophrenia, bipolar disorder, post traumatic stress disorder, eating disorders, attention deficit hyperactivity disorder, obsessive compulsive disorder, borderline personality disorder, addictions, phobias, and self harm conditions. These conditions are the largest cause of years of life lost due to ill-health, disability or early death — higher than both cancer and cardiovascular disease. 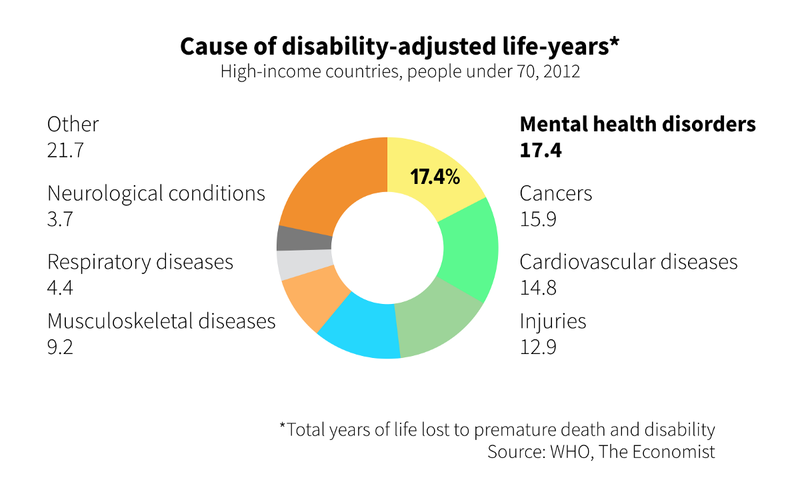 As well as clearly being a bad thing in and of itself, the cost of mental health disorders on our economy is huge and growing fast — projected to surge to $6 trillion by 2030, up from $2.6 trillion in 2010 — making mental disorders the most important cause of productivity loss among non-communicable diseases. Beyond that sheer size of the problem, mental health remains a highly stigmatized condition. It is an accepted, unquestioned truth that physical illness — a cancer, for example — is something we need to combat, and we recognize and applaud people who do so. Mental health challenges, however, are a taboo subject that are often not openly spoken about, not always accepted and often questioned, which leads to dark consequences: 90% of people who commit suicide have an underlying mental illness (Mentalhealth.org). And this does not account for the silent sea of undiagnosed cases, where people literally suffer in silence due to the discrimination associated with mental health. Getting to grips with this invisible plague is a tall order for employers, for whom mental disorders are often the single most expensive category of health costs. 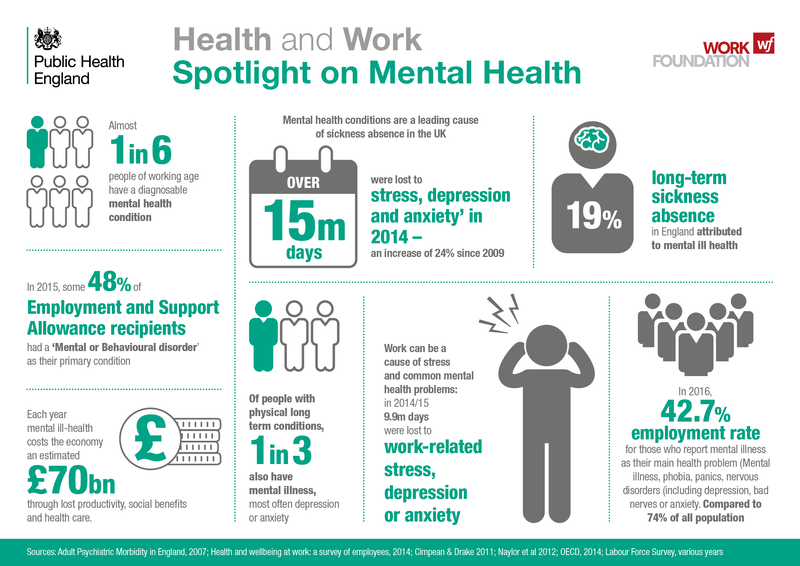 Beyond direct reimbursement costs, mental health challenges lead to increased absenteeism, reduced presenteeism, and in general huge effects on productivity. Given this rising burden, corporations are now seeking solutions to address this challenge and improve worker well-being. Providing appropriate interventions both produces tremendous positive effects on mental health disorders and saves massive costs. As an example, the WHO showed a return of $4 for every $1 invested in treating anxiety and depression. 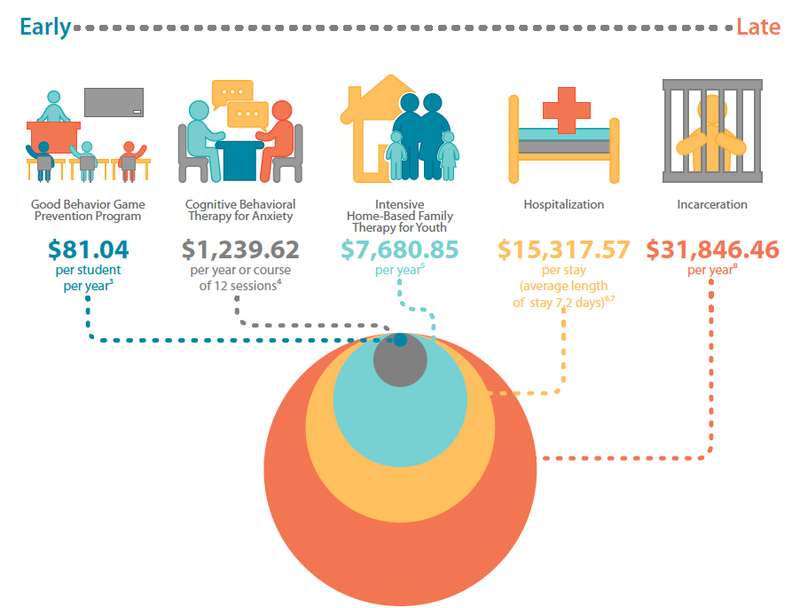 It is also abundantly clear that catching mental disorders early produces exponential cost savings. Accordingly, the global corporate wellness market is set to reach approximately $85 billion by 2025, reflecting its strategic value to businesses around the world. How then, can we bring about a step change in the ways in which we understand mental health, catch and treat signals earlier, and ultimately improve the well-being of millions of individuals and all of those around them worldwide? 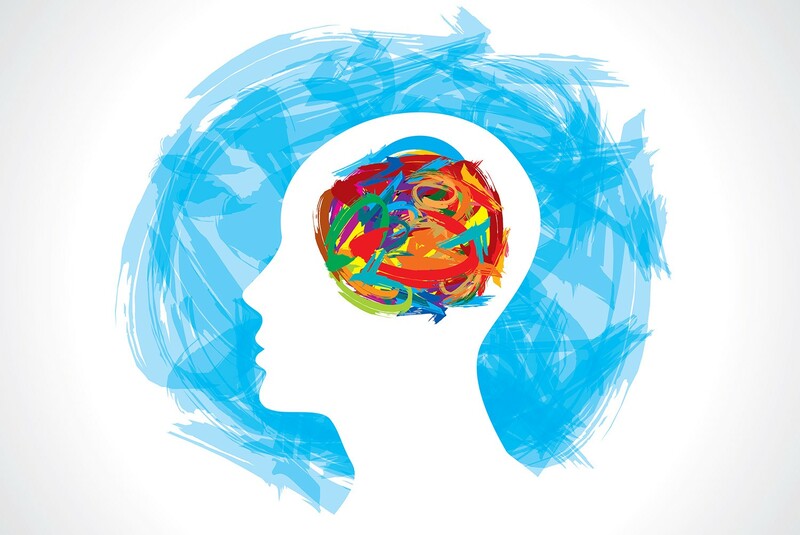 A recent Deloitte report identified five key reasons why mental health interventions and programs were not implemented by employers. The reasons are interconnected, and point towards two overarching themes: 1) lack of insight and knowledge in the mental health space, and 2) lack of appropriate measurement tools. 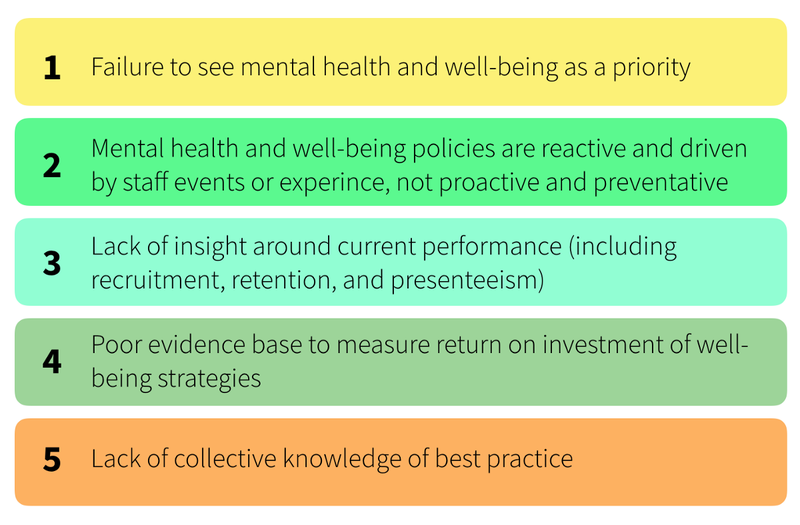 While the study was made in the context of the workplace, all of those reasons apply to the broader mental health space. Solving these challenges — a critical step to enabling the deployment of mental health interventions — requires gaining an unprecedented understanding of the interconnectedness of biology, psychology neurology, and behaviour that goes beyond the understanding that we have today. This presents an immense technical and scientific challenge, since human behavior is complex and varied, and influenced by a large number of factors. For this reason it is a problem that might find its solution in data science, machine learning and deep learning. Understanding the associations and relationships between multitudinous factors, and gaining insight from those relationships to identify mental health challenges as early as possible is the key to easing the collective mind. Biobeats is tackling these challenges head on. They have built a unified computational model that integrates different and disparate sources of data to gain a precise understanding of a user’s stress profile, and to send that person personalized recommendations to improve their well-being. Through its holistic approach to data capture and analysis, which includes self-reported as well as passively captured data, and neurological, physiological and contextual data in addition to the more traditional psychometric data, Biobeats’ technology provides a comprehensive picture of well-being, one that acknowledges the complexity of behavioral change and psychology. Proprietary machine learning algorithms use this data to understand what triggers stress, and the company then puts those stress profiles through an “Intervention Engine” to determine recommended interventions to support a user’s specific strategies to manage their stress. Biobeats is, in other words, building a real-time, evidence-based psychosocial intervention engine. This holistic, data-driven, active and passive approach gives Biobeats significant competitive advantages in the industry. Whereas most competitors focus on delivering great content (without having a clear understanding of the outcome of their interventions) or on one particular type of data analysis, Biobeats combines as many data sources as possible, which improves their algorithms and gives them ever more sophisticated insights into what can cause and constitute the experience that language over-simplifies into the word “stress”. This approach has also laid the groundwork for Biobeats to become the reference service provider in the corporate well-being space. The company’s focus on measurement and insight gives them the ability to help corporations and HR departments a) see the relationships between poor mental health in a worker population and the impact on a company’s business (through indicators like churn or increases in productivity), b) extract insight into the complex web of potential causes and consequences of mental health disorders and identify potential issues, and c) measure the impact of any particular intervention in real time, thereby providing a good proxy for return on investment that can guide future investment decisions. This means organizations can move from being reactive — and paying the significant insurance costs that are associated with late diagnoses (for medical care for example) — to being proactive — and proposing solutions or support programs earlier on. Importantly, this system also shifts the responsibility for mental health from the individual to the organization, a significant shift in the space. Traditional B2C mental health applications — and, as result, commercial models — burden individual users with the responsibility for their mental well-being, despite the fact that organizations often drive unhealthy behavioral patterns at a structural level. In other words, employees should not have to lock themselves in bathrooms to go through their self-paid B2C meditation subscription exercises, but should be able to operate in a world where their employer is equipped with a genuine understanding that the responsibility for staff welfare lies, at least in part, with them (corroborated by the kind of ROI data that Biobeats provides). To develop their underlying technology, the Biobeats team solved a number of technical and scientific challenges that cut across different and often separated disciplines. At Oxford University, one of the few places in the world where experimental psychology, biomedical engineering, neuroscience and machine learning intersect, the team showed, for example, that rumination — the mental process of thinking over and over about something and attaching negative emotions to it — was intimately connected with cardiovascular risk. Though cardiologists had suspected this for a long time and discussed it at length, Biobeats showed that association in real time in a working population, and published these results in Frontier In Human Neuroscience. As David Plans, Biobeats’ CEO, eloquently says, they demonstrated “that worrying will kill you from the perspective of breaking your heart”. Ultimately, Biobeats’ goal is to find as many of those associations as possible to build generalized intelligence that can compare an individual to hundreds of thousands or millions of other individuals and infer how someone is doing and where they are going from the perspective of those associations. This ability has resonated with insurers like Axa and corporations like BNP Paribas and Universal Music Studios, who are adopting Biobeats as their solution in launching data-based well-being programs. The cohort-level insight they receive influences all areas of the business by helping managers support their teams, while helping the company’s leadership monitor their own organization’s overall health and well-being. Biobeats’ approach is rooted in the company’s founding story. Ten years ago, David Plans, the founder and CEO of Biobeats, when under a huge amount of stress building his previous startup, suffered from a cardiac arrest and flatlined for more than two minutes. When he came back to life, the nurse shared his forensic paperwork, which showed that he had died of stress, not of any other medical or biological condition. As a data scientist, he embarked on a 10-year journey to understand how to predict (and prevent) events like this. When the founding team started to try and model emotions, they quickly realized they would need very large sets of data to build machine learning systems that are predictive of mental disorder. Looking 10 years ahead, Biobeats’ technology could be used as a platform to redefine entire industries as we uncover the relationships between neurology, physiology and psychology in every single human action, from redesigning the risk pool in the insurance industry and moving away from local, static risk factors towards global, dynamic risk factors, to factoring real-time psychological events and pre-existing circuitry into decision making. At Future Positive, we are seeking to support 20 of the most groundbreaking European companies that apply advanced science and technology to solve a global need. Biobeats is undoubtedly one of those. To learn more about Biobeats, visit their website or watch this interview we made with founder David Plans. If you’re interested in what we’re doing, please get in touch. Thank you Lily for your invaluable input on this post.